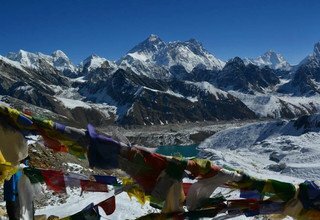 Everest Three Passes Trek is one of the most exciting treks to the base camp of the world’s highest mountain, Everest (8848m), which offers trekkers a lifetime experience amid magnificent geological setting and natural diversity. 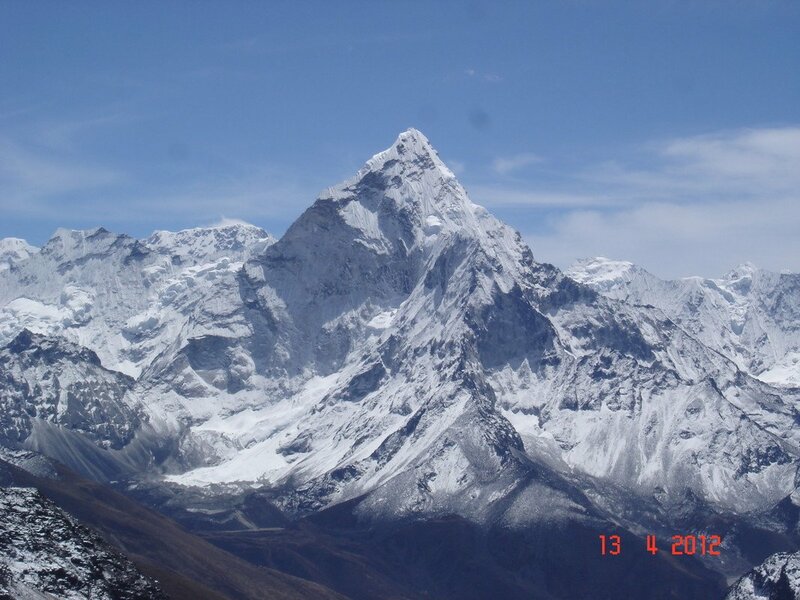 Everest Three Passes Trek is situated in the Everest or Khumbu region of Eastern Nepal. 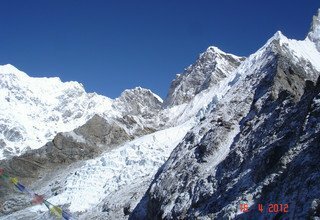 It is a trek to Gokyo and Everest Base Camp through the three high passes of Everest region: Renjo La (5360m), Cho La (5420m), and Kongma La (5535m). All three passes offer breathtaking views of massive mountains such as Everest (8848m), Cho Oyu (8201m), Makalu (8481m), Pumori (7161m), Ama Dablam (6856m), Lhotse (8516m), Nuptse (7861m), and many other mountain peaks in the Khumbu region. 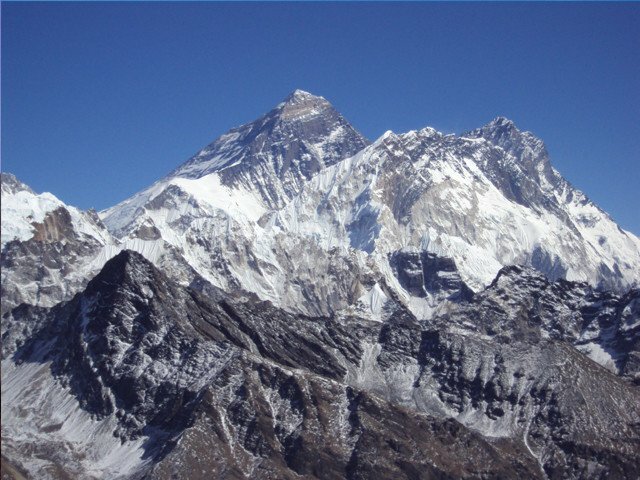 The 20-days Everest Three Passes Trek is a challenging and strenuous trek but worth every struggle for the exposure to nature and culture, it gives to the trekkers. The journey starts from flying to Lukla relishing the amazing snow-capped mountain views. 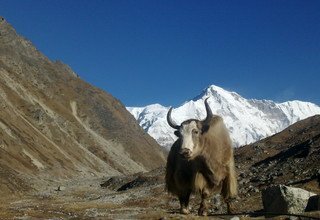 Throughout the journey, the trekkers pass through several Sherpa villages, which give them an opportunity to meet friendly Sherpa people and understand their unique culture and lifestyle. 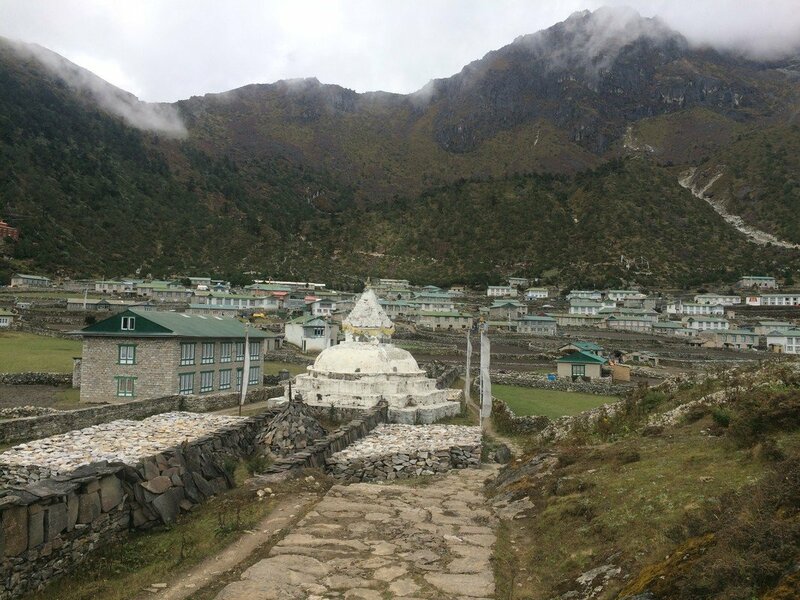 The trekkers also pass through Khumjung village, the largest Sherpa village in the Khumbu region. The trekking route also passes through several ancient monasteries, which provides them with an insight of Buddhism in the Himalayas. 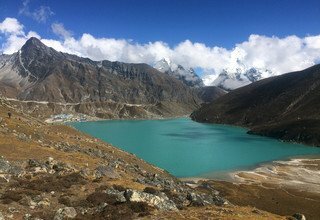 Crossing the first pass, Renjo La (5360m) takes the trekkers to the pristine Gokyo Lakes and Ngozumpa Glacier, the largest glacier in the Khumbu region. The trail across the second pass, Cho La (5420m), leads to Everest Base Camp (5364m) and Kalapatthar (5550m), both of which provide an amazing view of Khumbu Icefall and glaciers along with the majestic Khumbu Himalayas. The walk across Kongma La Pass (5535m) marks the start of the return trek to Namche, Lukla, and then a flight back to Kathmandu. 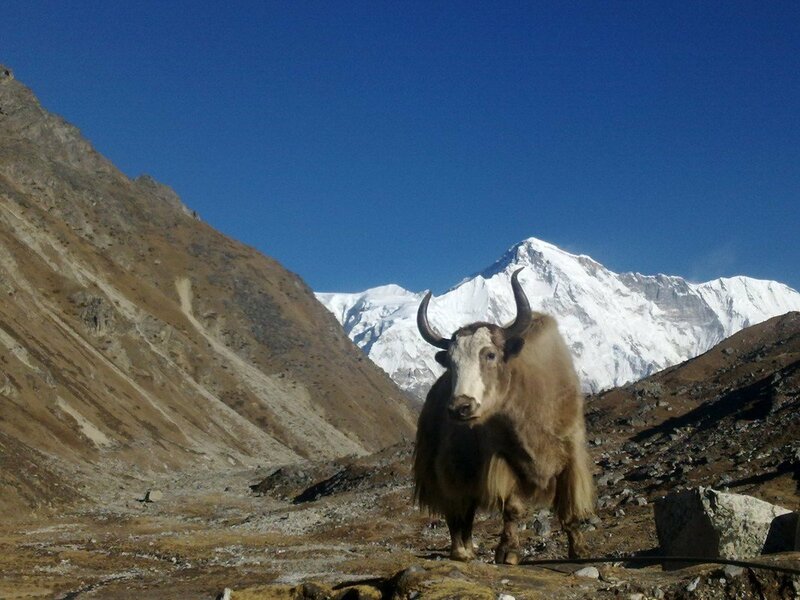 The three passes trek is the perfect combination of natural beauty with profound cross-cultural discovery. 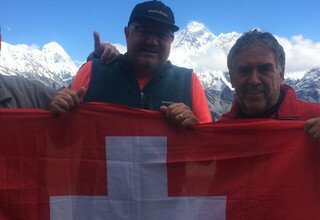 Swiss Family Treks and Expedition is a renowned travel company in Nepal, running since 2005. We make sure your stay in Nepal remains joyful and unforgettable. We deal with all kind of legal permits to travel in the country. We assign you a local English speaking guide so that you can make the most out of the trip. We get you the best accommodation in the area to make your stay a comfortable one. 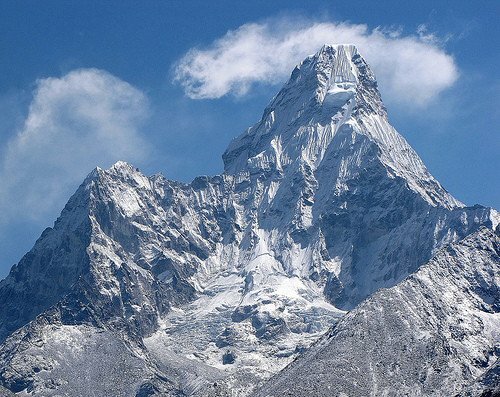 So, remember us if you're planning for a trip to the Himalayas. Pick up at Tribhuvan International Airport by our company representative, and transfer to hotel in Kathmandu. Overnight at a 3-star hotel in Kathmandu. Today, you visit the famous places of Kathmandu valley that includes Swayambhunath stupa, Boudhanath Stupa, and Pashupatinath Temple. Our local guide will accompany you to help you to navigate as well as to give you an insight of the Nepalese culture and history. Overnight in Kathmandu. Leaving the capital city behind, we catch our early morning scenic flight to Lukla. 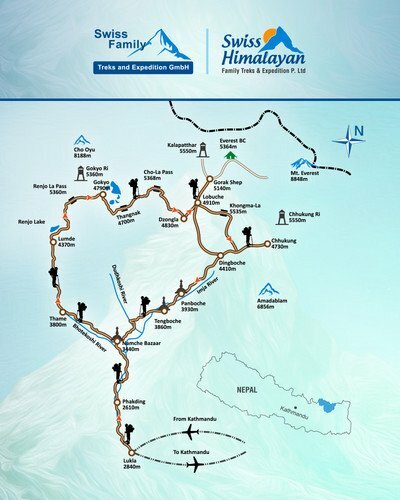 After landing in the most thrilling airport of the world, Tenzing-Hillary Airport in Lukla, we begin our first-day trek towards Phakding following the up and down trail through rhododendron forest. We also walk past several Buddhist monasteries and Chortens along the way. Overnight at lodge in Phakding. Crossing several suspension bridges on our way, we reach Monjo village. We continue to trek gently ascending through steep trail and again cross a suspension bridge over Dudh Koshi River before reaching Namche Bazaar, which is also known as the gateway to Everest. 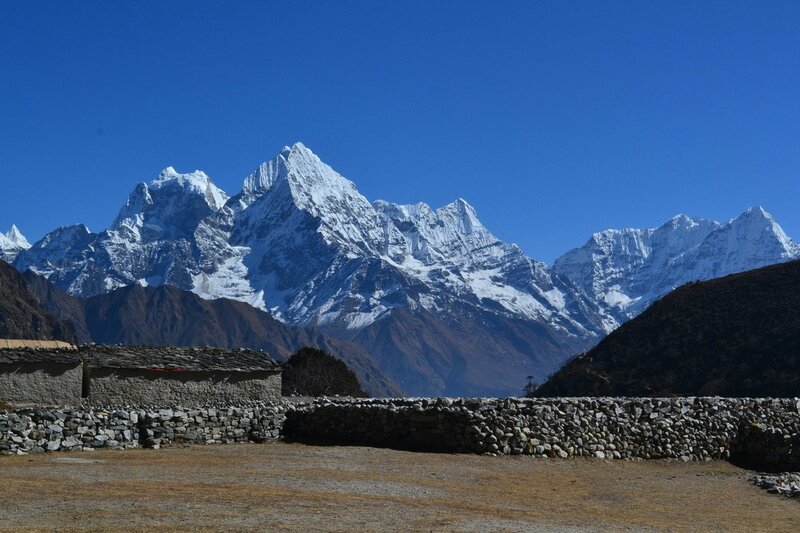 We get the first panoramic view of Everest (8848m) from the tourist hub of Namche Bazaar. Overnight at lodge in Namche. 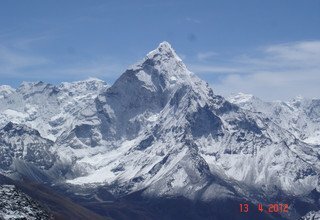 We spend this day taking a short and pleasant hike to Everest View Hotel (3962m) which offers a panoramic view of different mountains like Everest (8848m), Thamserku (6623m), and others. 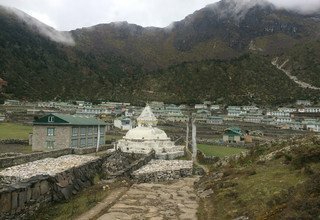 After taking a few photographs, we hike to Khumjung, the largest Sherpa village in the Khumbu region, to visit the ancient monastery. We can also see the skull of yeti preserved inside the monastery. We then continue to trek towards Khunde village and visit the old monastery before returning back to Namche. Overnight at lodge in Namche. Today, we head towards Thame passing several villages, Chortens, prayer flags, and monasteries along the way. 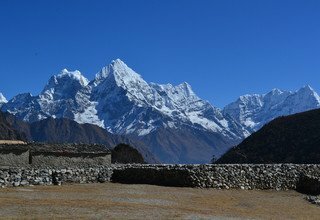 Ascending alongside Bhote Koshi River, we can view the skyline graced with several snow-capped mountains of Khumbu region. Then, crossing a bridge over the Bhote Koshi River, we finally arrive in Thame. Overnight in Thame. Leaving behind Thame, we begin our trek climbing over the moraine and follow a route that is used by the traders for centuries across the Nangpa-La into Tibet until we reach Marulung. Still following Bhote Koshi River upstream, we come across many Chortens and monasteries on our way to Marulung. We then continue to ascend to Lumde for an overnight stay. 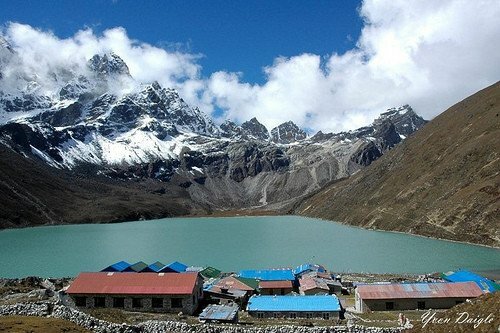 Today, we ascend until we reach Renjo-La (5360m) which offers a breathtaking view of the rooftops of Gokyo valley shining distantly on the shore of the lake. 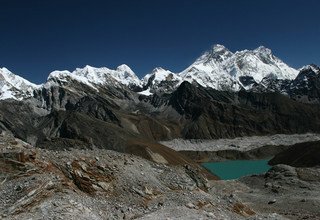 We come across small glacial lakes as we walk on a steep and slippery trail to reach the top of Renjo La for a panoramic view of massive peaks of Cho Oyu (8201m), Lhotse (8516m), Everest (8848m), Cholatse (6335m), and Taboche (6367m). 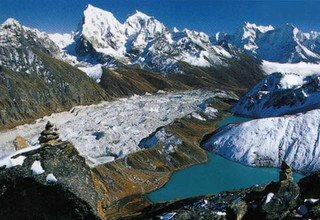 After enjoying the stunning view, we descend to Gokyo valley. 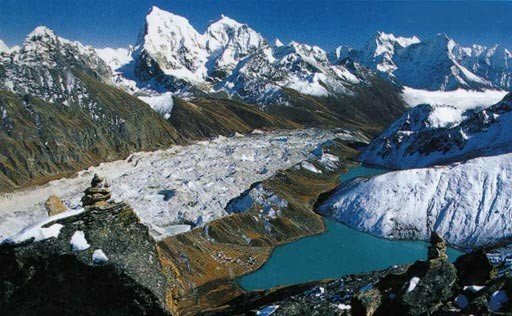 Gokyo valley sits behind the third Gokyo Lake. You can spend the evening around the pristine lake. Overnight at Lodge in Gokyo. 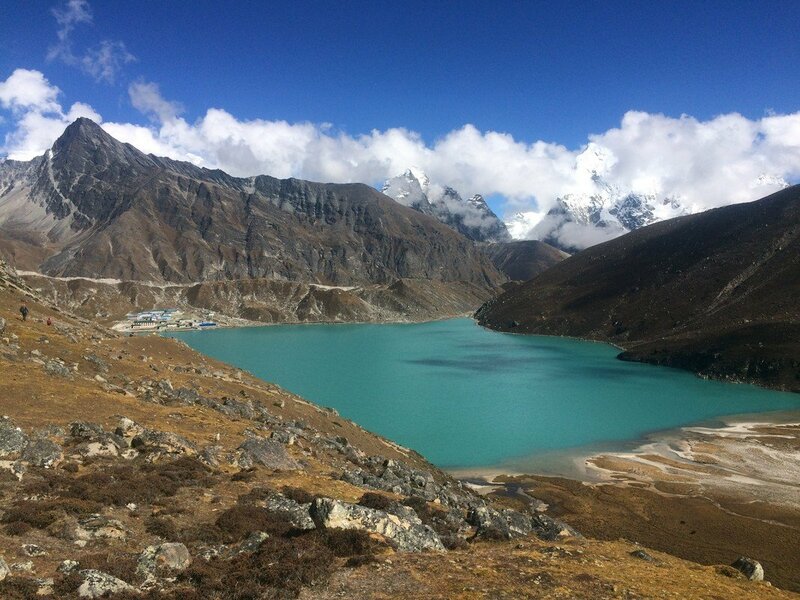 We take a day off from trekking and spend this day exploring the Gokyo valley. We go to visit fourth and fifth lake climbing the hill on the north shore. 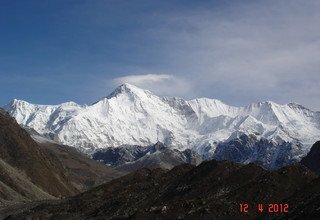 We are also rewarded with the mesmerizing view of Cho Oyu (8201m) and Ngozumpa Glacier, the largest glacier of Khumbu region. After exploring the lake, we return back to Gokyo for an overnight stay. 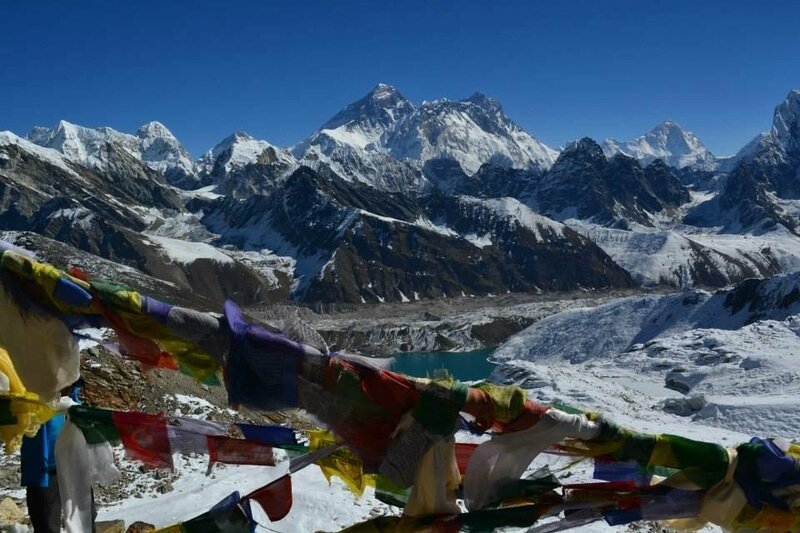 We take an early morning hike to Gokyo Ri to view the amazing sunrise over the snow-capped mountain peaks. 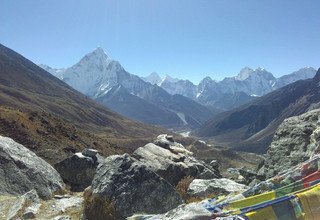 Beside sunrise, the viewpoint also offers an awe-inspiring view of Everest (8848m), Lhotse (8516m), Makalu (8481m), Nuptse (7861m), Cho Oyu (8201m), Pumori (7161m), Ama Dablam (6856m), and other peaks. 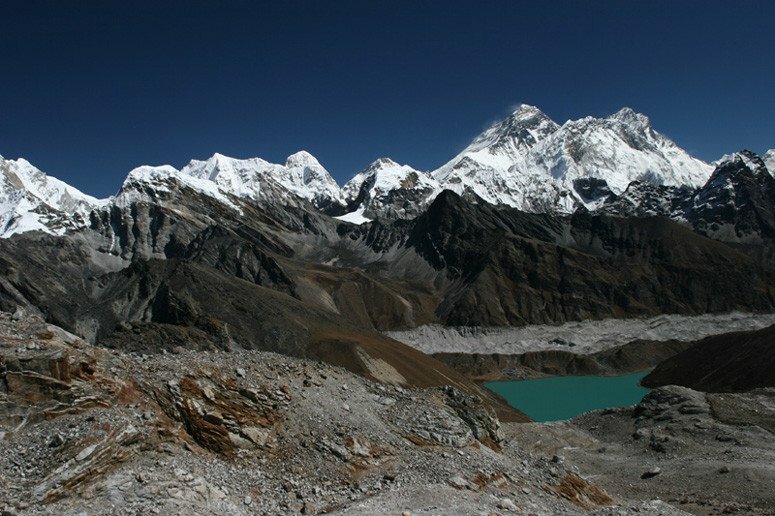 We, then, climb down to Gokyo and continue our trek to Thangnak. We walk on the icy and slippery path through the massive Ngozumpa Glacier to arrive in Thangnak. Overnight in Thangnak. 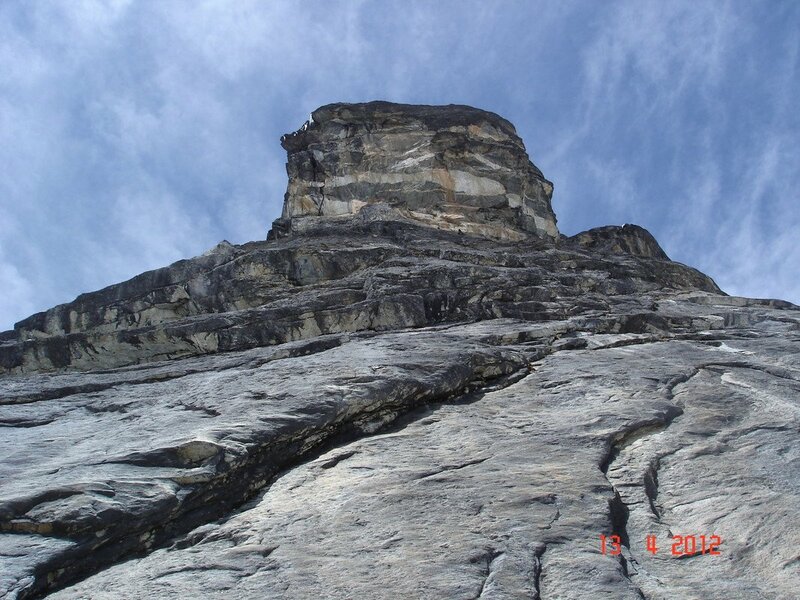 We continue to trek gradually ascending on the steep rocky trail which leads us to our second pass i.e. 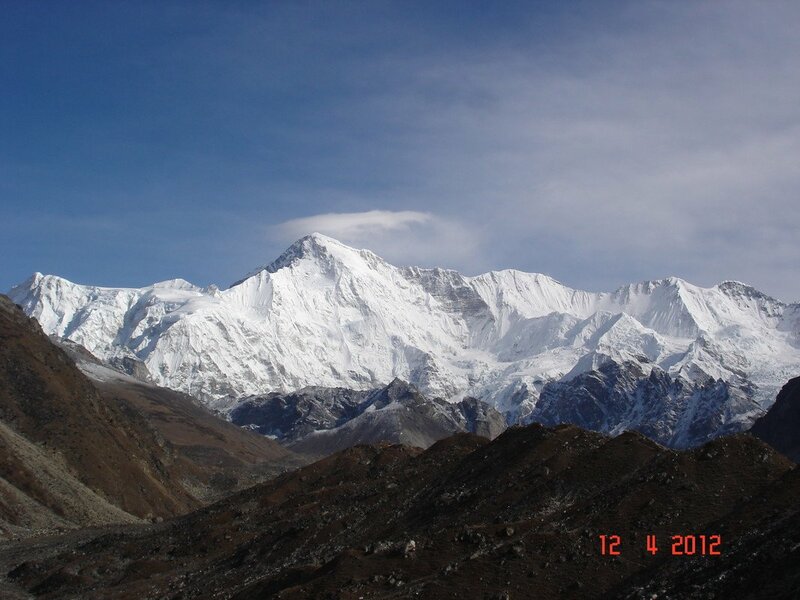 Cho-La Pass (5420m). Ascending on a slippery path with difficult icy crossing, we reach the top of Cho La Pass, which hosts a breathtaking panorama of Ama Dablam (6856m) and Cholatse (6440m). We then make a steep descent to Dzongla stumbling across frozen lake, Chortens and prayer flags. Overnight in Dzongla. 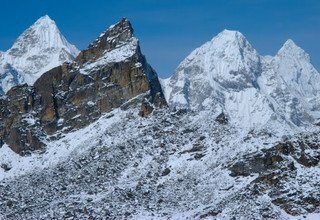 Today, we head towards Gorakshep passing the village of Lobuche which is a major joining point of the classic trek to EBC. 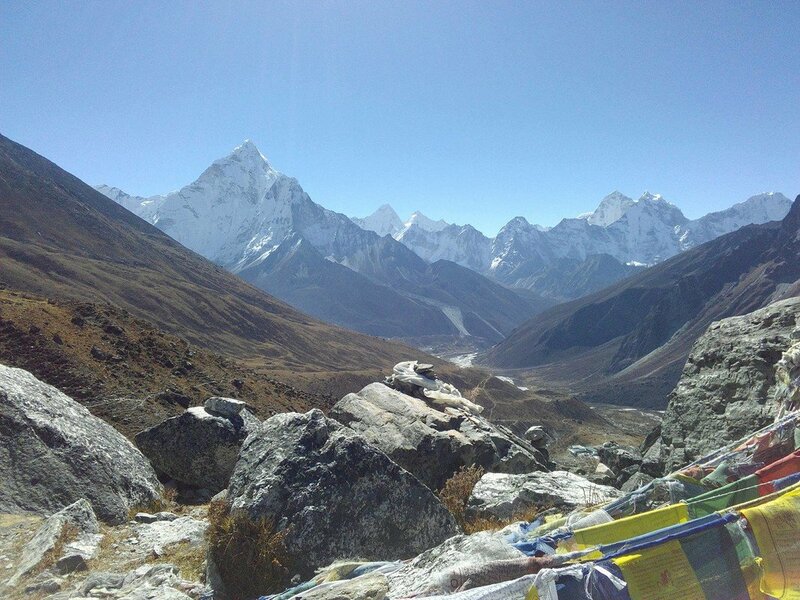 Accompanied by the stunning Himalayan range in the background, we continue to trek following the trail in the left bank of Khumbu Glacier and ascend steeply until we finally reach Gorakshep. Overnight in Gorakshep. 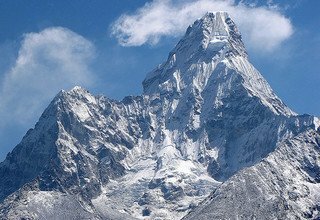 Today, we spend the full day exploring the areas nearby the Everest Base Camp which takes about 2 hrs to reach from Gorakshep. 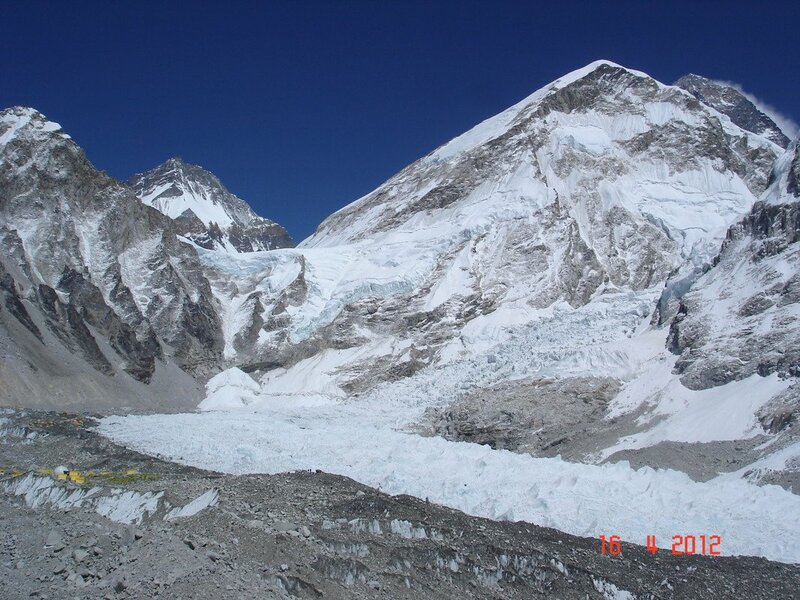 The trail to Everest Base Camp is a steep ascend on a moraine route. 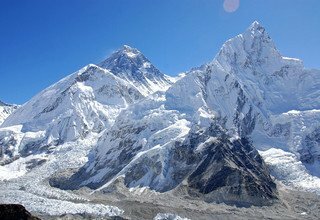 Basecamp offers an unreal view of Everest (8848m) along with an amazing panorama of Lhotse (8516m), Nuptse (7861m), Lingtren (6749m), Khumbutse (6636m), and other peaks of Khumbu region. We return back to Gorakshep for an overnight stay. 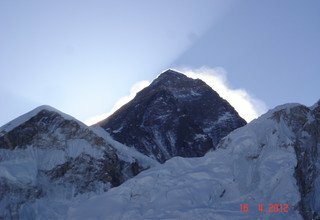 To view the amazing sunrise over the mountain peaks, we take an early morning hike to Kala Patthar before sunrise. 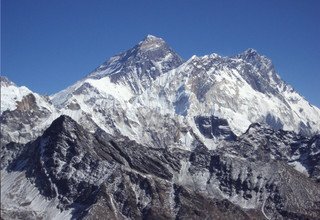 The viewpoints offer an incredible view of Everest (8848m), Nuptse (7861m), Lhotse (8516m), Khumbutse (6636m), and many other peaks of Khumbu region. 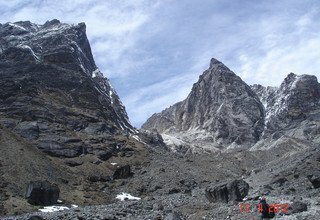 After the amazing sunrise view, we hike back to our campsite and continue to trek towards Lobuche passing the Changri Glacier. 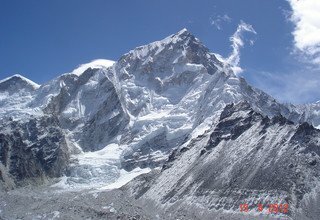 Overnight in Lobuche. 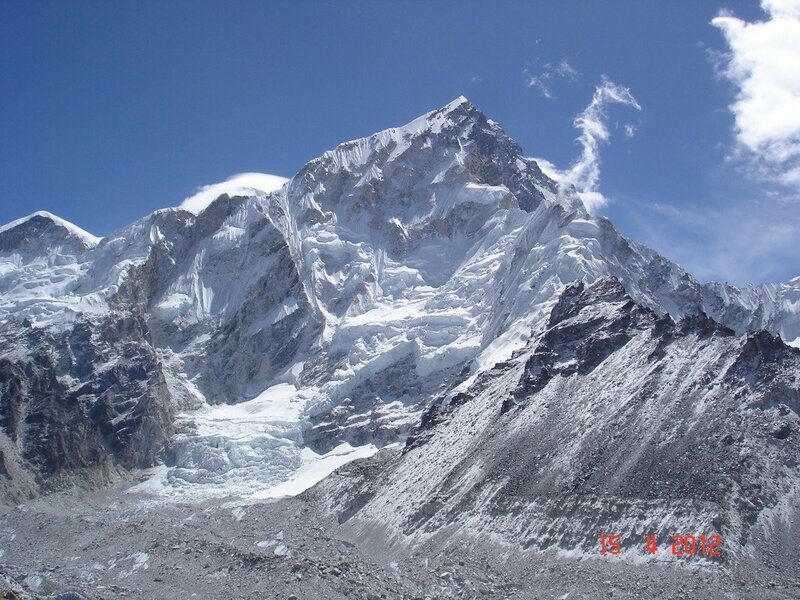 Today, we trek to Chhukhung via our last pass: Khongma-La Pass (5535m). 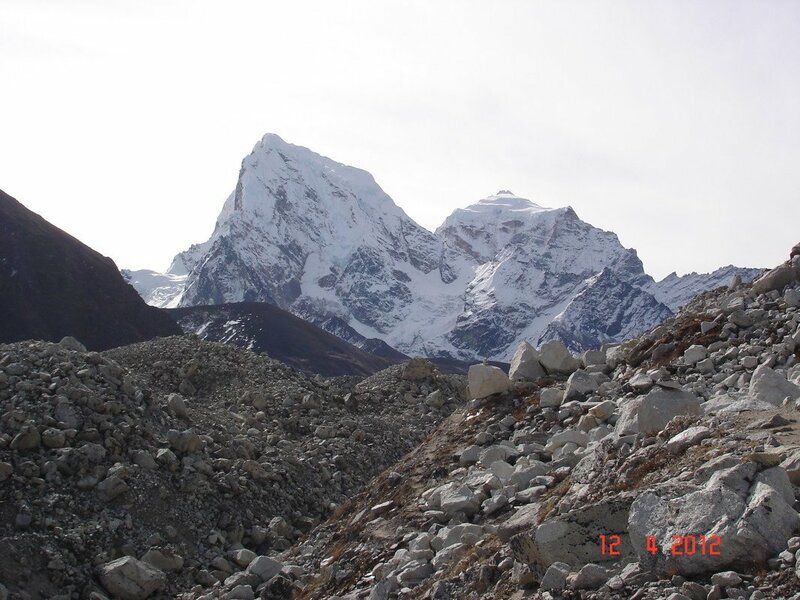 We cross the Khumbu Glacier and continue to ascend towards Khongma-La. The top of the pass provides an amazing view of different Himalayan ranges. After spending some time, we continue to steeply descend towards Chhukhung. Overnight in Chhukhung. Hiking through the rocky trail, we make our way up to Chhukhung Ri (5550m) which offers a great view of Makalu (8481m), Cho Oyu (8201m), Lhotse (8516m), Ama Dablam (6856m), and many more peaks. 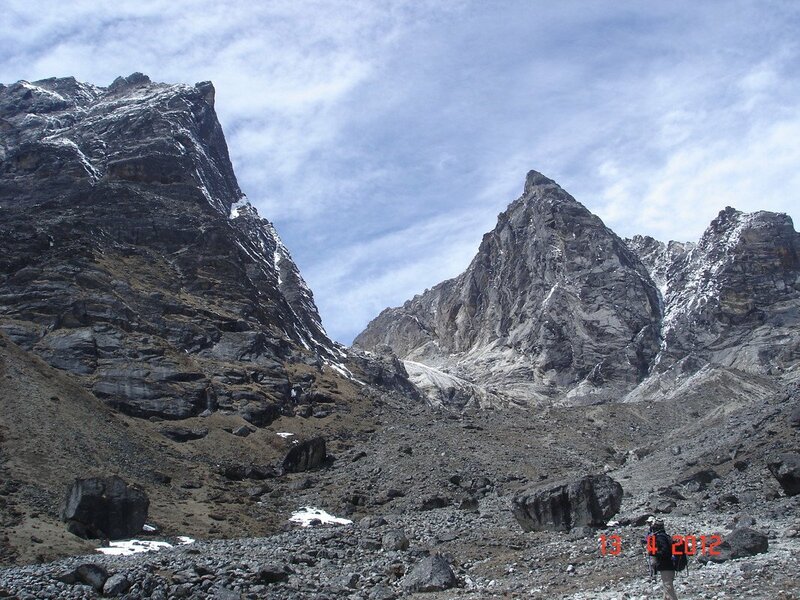 We then descend steeply passing through yak pastureland and monasteries to reach Pangboche via Dingboche and Somare. 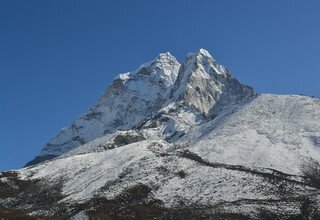 Overnight in Pangboche. Leaving behind the village of Pangboche, we begin to trek to Tengboche through the forested trail. Upon reaching Tengboche, we can visit Tengboche Monastery which is the biggest monastery in the Khumbu region. 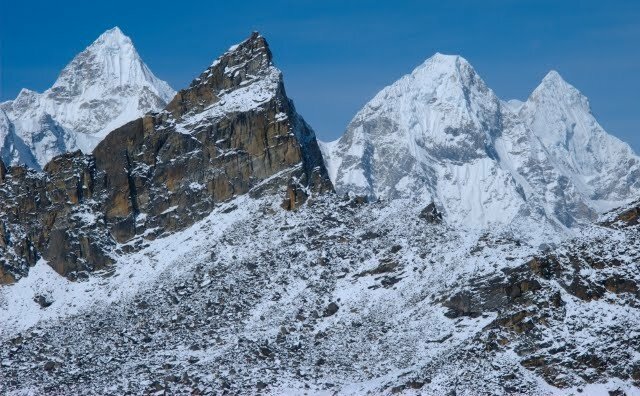 We then continue to descend till Dudh Koshi River and make a climb until Kyangjuma before reaching Namche. Overnight in Namche Bazaar. For our last day trek, we head towards Lukla through the forested path filled with rhododendrons and pine trees. Crossing over several suspension bridges over Bhote Koshi River, we walk past Phakding and several other Sherpa settlements as we continue to trek to Lukla for an overnight stay. We catch our early morning 40-minute scenic flight to Kathmandu. We then transfer you to a 3-star hotel in Kathmandu and give rest of the day to yourself. Overnight in Kathmandu. Our company representative will drop you at Tribhuvan International Airport approximately 3 hours before scheduled flight. 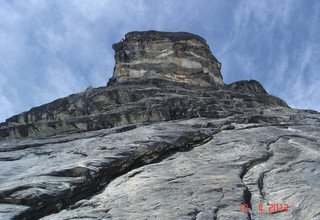 * Meals (breakfast, lunch and dinner) with Tea & coffee, hot/cold filter during the trek.